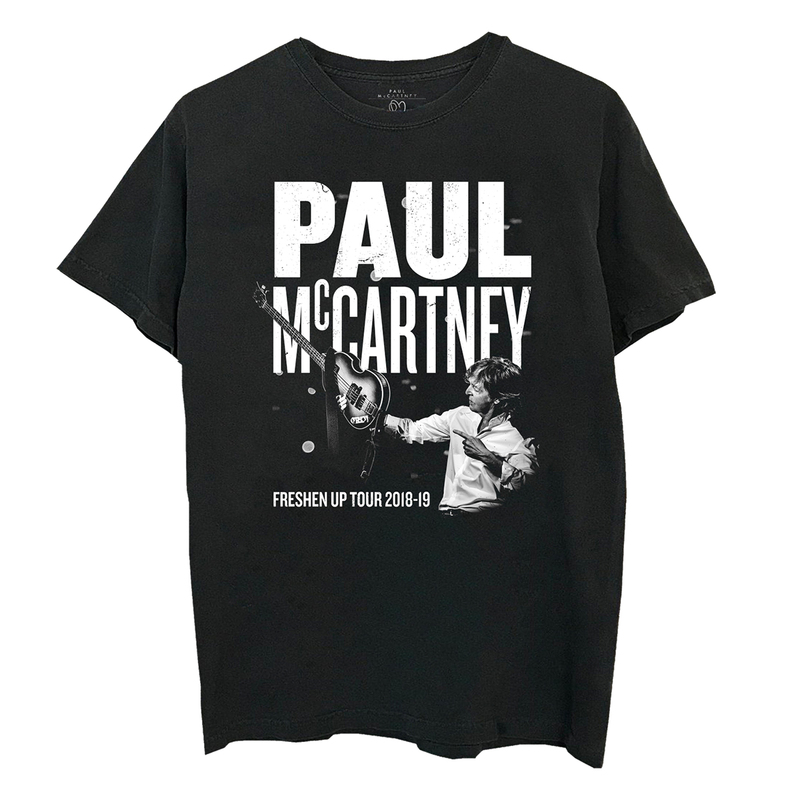 Black t-shirt featuring Paul McCartney photo on the front and 2018-2019 World Tour dates on the back. The price was the same as at the concert. Just add shipping. Better than standing in a long line, which my friends did. 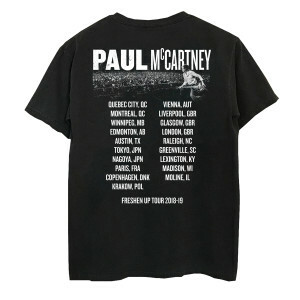 Quality of cotton is better than some of the other t-shirts sold on past tours. (2010-2013). I bought the black shirt to match what my friends purchased. I shall also soon get the white shirt. It is an even better picture! The shirt is perfect! The fabric, prints, fit are awesome. I paid $15 more (CND to USD) than what I would have, had I bought it at the concert but it was fine. Everything about Macca is worth it! Nice souvenir from the tour. I didn't want to wait on a long line at the show, so buying it from the website was nice and convenient. Still pricey for just a t-shirt, but that seems to be the norm these days.